Manage space turnovers with the ease and precision brought by seamless communication. Enables your team to easily sort and prioritize rooms ready – or soon-to-be-ready – for cleaning as soon as possible. The custom reports our team creates for yours run the gamut. Move your business forward with the data that drives it. With the ability to view room cleanliness data in different ways, your team will be more empowered to move through tasks efficiently. The Iris Housekeeping Dashboard adapts to the device being used and provides quick access to tasks and info. Several different views of dirty room data allow greater understanding of room status, location, ready-date, and cleaning requirements. 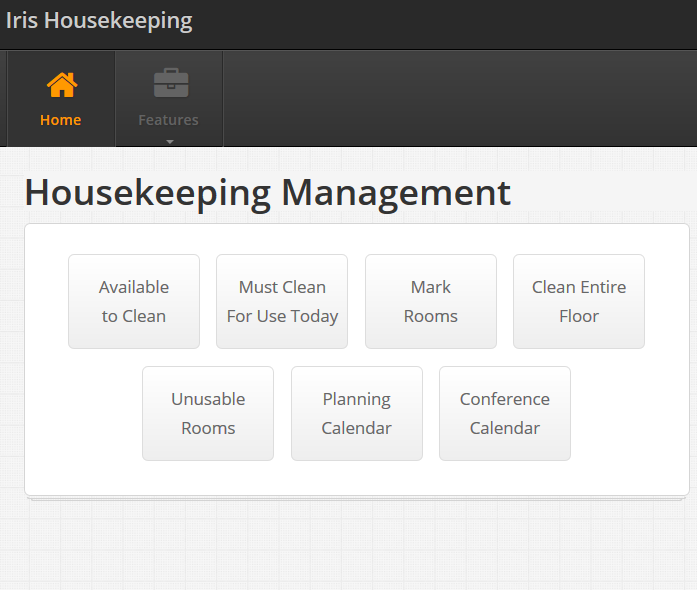 Iris Front Desk users interact with the Housekeeping Dirty Room Queue by adding, removing and sorting dirty rooms. Staff may undo a check-in due to a dirty room or manually add a room to the Dirty Room Queue. Queue may be printed, copied/pasted, or saved into text, Excel or .pdf.